Imerys SA provides mineral-based specialty solutions for various industries worldwide. The company operates through Energy Solutions & Specialties, Ceramic Materials, Filtration & Performance Additives, and High Resistance Minerals segments. It provides ground and precipitated calcium carbonates, and lime; cast/vibrated and quick dry castables, gunning materials, ramming and dry mixes, and taphole clays, as well as prefabricated shapes; project management services for refractories; graphite and carbon products; and oilfield solutions. The company also offers minerals for ceramics, including chamottes, ball clay, talc, feldspar, ground silica, halloysite, kaolin, pegmatite, prepared bodies and glazes, quartz, mica, and kiln furniture and components, as well as clay roof tiles and accessories. In addition, it provides mica and talc performance additives; and diatomite, expanded perlite and perlite ore, structured alumino-silicate, and vermiculite minerals for filtration. Further, the company offers refractory minerals, such as andalusite, ball clay, bentonite, chamottes, fused aluminas and silica, and metakaolin; and fused minerals, such as fused aluminum and magnesium oxides, silicon carbide, zirconia chemicals, and zircon flour, as well as fused mullites, spinels, and zirconia. It serves construction, tableware, energy, semi-conductor, electronics and electrical appliances, electro-metallurgy, agriculture, food, health and personal care, consumer goods and packaging, industrial equipment, paper, board and packaging, iron and steel, foundry, aluminum, cement, waste-to-energy, power generation, petrochemicals, furnace construction and repairs, mobile energy, automotive and transport, non-conventional oil and gas exploration, pharmaceuticals and chemicals, new housing, roofing renovation, wire and cable, decorative and industrial, coatings, glass, and aerospace markets. 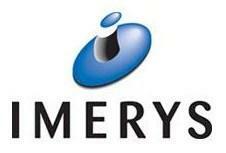 Imerys SA was founded in 1880 and is headquartered in Paris, France. Imerys SA operates as a subsidiary of Belgian Securities B.V.